Mobile Video Advertising is the new form and viral form of advertising today because more than 85 percent people were using the smartphones and connecting with the brand videos online across the globe. So, there is a great chance to meet the huge range of audience on mobile phones. It reported that more than 90 million people in the US were using the Smartphone to watch videos and it was expected to be increased to 126 million when we reach the year 2018. More than 70 people were using their tablets only for better video watching through the devices. Marketers were switching towards the mobile video advertising as it is very effective medium to reach the audience at their fingertips and have better interaction rates. With the increase in the usage of smartphones, everyone well versed in the applications, usage and video watching and connectivity. 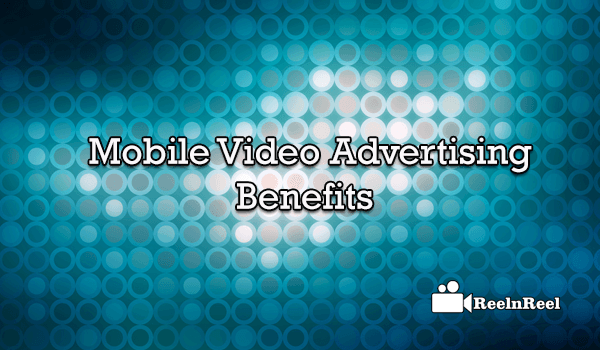 So, it is beneficial to go with the mobile video advertising. Engagement of audience previously with the desktops and laptops via social networking platforms were generally in use. since, from years and with the development of the smart technology across the world, it becomes effortless to interact with the consumers if the marketer was implementing the mobile video advertising strategy in his marketing plan. Sharing through mobile devices are very easy when we compared with the other devices in use. There are multiple platforms designed especially for the mobile phones especially for the sharing of interested videos on users choice and as well as many applications were also got developed for better advertising and reach. It is easy and accurate to track the mobile video analytics and to make the consumers reach your brand in real time. Even call to actions on mobile video advertising has more chances to interact with the customers in real time. Mobile video Advertising achieved the highest CTR, and the viewers also have an option to skip the video ad which makes them comfortable. Localize your Ad, make it easy to drive views and also share and have a customised CTA. 1) Upload your Video Content to your YouTube Channel. 2) Go into Google Adwords and sync your Adwords account to your YouTube Channel. 5) Submit for approval to AdWords team.It will take few hours to approve. 3) Select the Page URL you want to advertise for or enter it. 4) Customize Setting of audience you want to target and introduce a budget for the ad. 5) You can also upload in the Video section, upload the video you want to use in your ad. 7) Click Place Order to save your new video ad. 8) Wait for review and approval. For Brands we can consider Vdopia, Videology, KARGO.